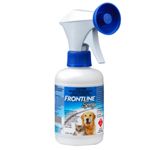 FRONTLINE SPRAY protects cats and dogs against fleas and ticks, including paralysis ticks. It can be used on puppies and kittens from 2 days of age. 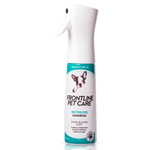 To protect against adult fleas, apply every 12 weeks for dogs and every 8 weeks for cats. To protect against paralysis ticks, apply every 3 weeks for dogs and cats and for protection against brown dog ticks, apply monthly. Can be used in puppies and kittens from 2 days of age. 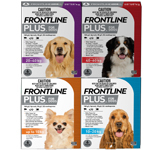 Controls flea allergy dermatitis when used monthly. Speak to your vet for further advice on flea control using FRONTLINE SPRAY or call the Customer Care line on 1800 808 691.